← Gmail: IMAP is here! If you had read my previous post, then you’ll know that Google just added the IMAP functionality into Gmail. 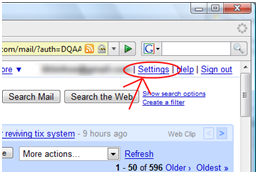 You can refer to the help section in Gmail to learn how to configure your mail client to work with the IMAP service. Unfortunately, there is no step-by-step guide for Windows Live Mail Desktop. But why Windows Live Mail? The reason is because Windows Live Mail is the only application that you can use with your Hotmail account in Vista. And Outlook Express has been replaced by Windows Mail, which is not compatible with Hotmail. Before you start configuring the client, you need to enable the IMAP in your Gmail settings. Step 4: Click the “Saves Changes” button to save the settings. 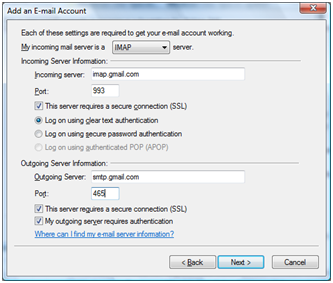 Now you can go to your Windows Live Mail to configure it with the IMAP. Step 2: Go to Tools -> Accounts. An “Accounts” window will pop up. Step 4: Select “Email Account” and click next. Step 5: Fill in the details. In the name field, you can put the name that you like to appear in your email when you can send an email. The email address is your full Gmail address. Uncheck the “Automatically determine my login ID” option. The login ID is your full Gmail address. 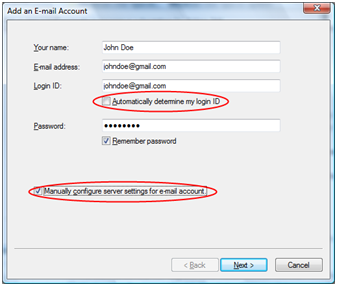 Check the “Manually configure server settings for email account” option. Click next. Step 6: You can copy the following settings. 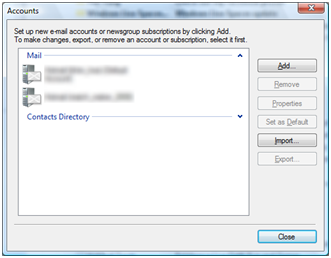 In the drop down box, select IMAP. Check the “This server requires a secure connection (SSL) option. Check the “This server requires a secure connection (SSL)” option. Check the “My outgoing server requires authentication” option. If you have a lot of emails in your Gmail, it will take some take for the client to download the list of emails. That’s it! Now you can start using your Windows Live Mail to read your Gmail email! Update 28/02/2009: If you want to remove duplicated folders, such as the Junk Mail/Sent Mail, you can follow the instruction here. Thanks to James for the info! 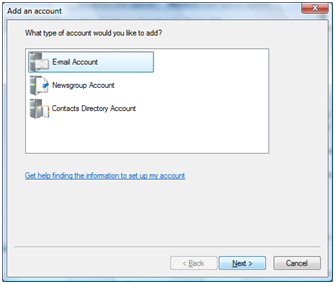 This entry was posted in Guide and tagged configure, gmail, imap, setup, ssl, step, windows live mail. Bookmark the permalink. This is assuming you are using Outlook Express I believe. I was able to configure my gmail account in Outlook 2003, but it did not work with Windows Live. Although all the gmail emails were downloaded into Windows Live, there is a message saying there is a problem with IMAP. Is there any other procedure to configure gmail in Windows Live? 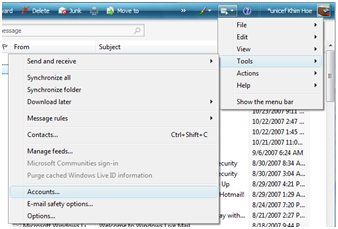 As far as I know, this is the only way to configure IMAP in Windows Live Mail. Maybe you can give me the screen shot of the error message so that I can help you investigate the problem. Thanks — it worked, I was able to configure my e-mail using instructions you provided above. The instructions are good. There are some more steps to get the IMAP folders configured correctly, otherwise, for example, there will be duplicated Junk Mail (created by Live Mail) and Spam (Gmail’s) folder. thank you so much. its rocking here. Brilliant – worked first time. You are a genius! Thanks. Any error message? Please remember that you need to check the SSL and authentication box during the setup. Hey, it works like a charm. Thanks for your tips. Appreciate it. God bless you. Can you post the error message here? Your IMAP server has not responded in 60 seconds. Would you like to wait another 60 seconds for the server to respond? Any idea of what’s up? Same issue. The first one worked fine, but the second gives me the same error message (60 second time out).